This is a TimberTech deck built as a transition from a new sunroom down to the ground. There is a small area about 8x8 to fit a small round table and a couple of chairs. 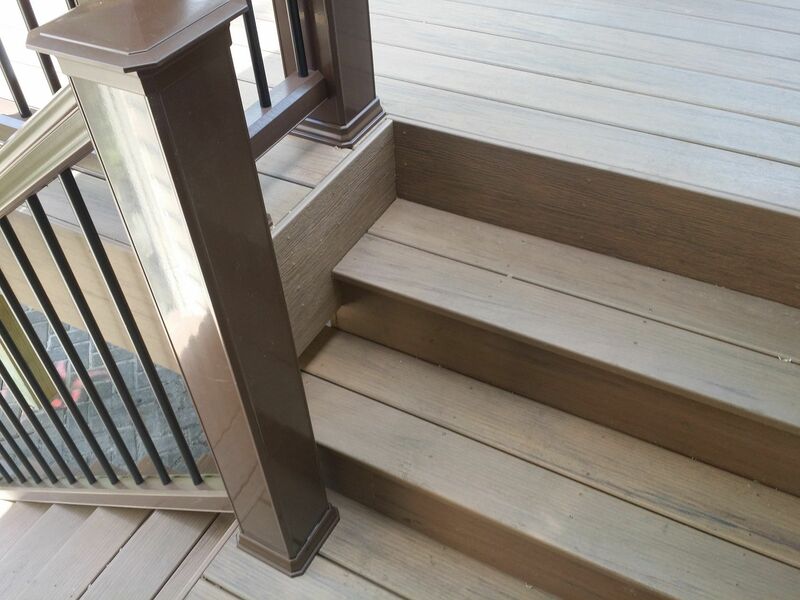 The decking was TimberTech Legacy with TimberTech Radiance Rail.